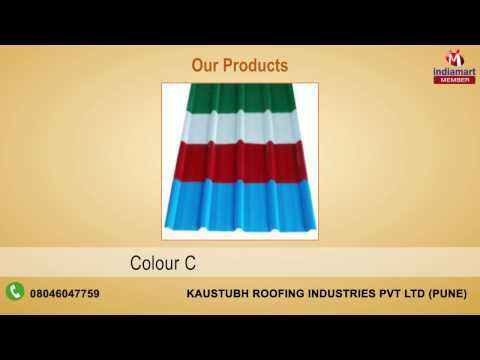 Established in the year 2015, %u201CKaustubh Roofing Industries Pvt Ltd%u201D so called as K roofs as their trade name is one of the prominent manufacturers and exporters of a wide range of Colour Coated Profiled Sheet, Purlin Product, Decking Sheets, Pre Engineered Buildings, Primary Framing Systems etc. We are also providing services of Profiled Sheet Installation Service and Deck Sheet Fixing Services. Our range of products is highly appreciated by the customers owing to their various attributes such as durable make, abrasion resistance and ability to withstand harsh weather conditions. These products are manufactured using top quality raw material and machinery. We make use of supreme quality components in manufacturing of our range and make sure that the products meet the specific quality standards and predefined industrial norms.